The MacArthur Foundation calls transnational immigration “the defining characteristic of the twenty-first-century.” Worldwide, the United Nation’s Department of Economic and Social Affairs reports that well over 200 million people live outside their nations of birth, a number that continues to grow with advances in transportation and technology. 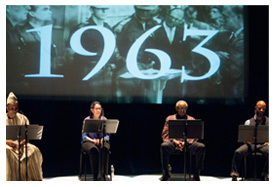 This institute explores some of the ways in which the immigrant experience to the United States, and California, in particular, has been represented through literature and theatre. We will consider: the construction and shifting nature of borders, the performance of historical narratives through literature and theatre, and the representation of family and gender within immigrant communities. NEH Summer Scholars will explore these topics as they pertain to emigration from Mexico, China, Afghanistan, and Vietnam. While the institute features examples from the California context, we encourage summer scholars to bring texts (including other documents, videos, or performances) from their home regions of the country for consideration at the institute. A defining characteristic of this institute is its use of theatrical performance as a method for engaging literary texts and the issues they raise. 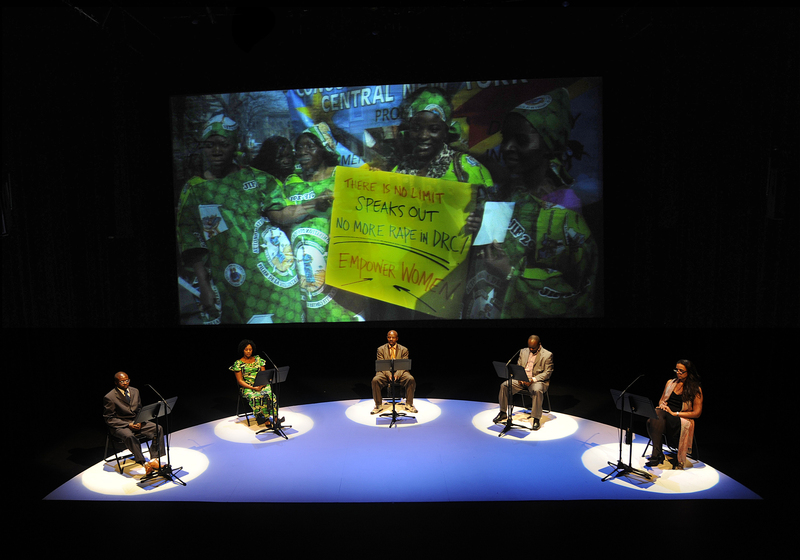 We feel that theatre performance offers its practitioners a rich and intimate form of textual engagement. We will introduce NEH Summer Scholars to a number of theatre-based techniques that might be used to explore literary texts and social-science topics. 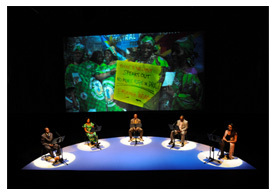 These techniques include the adaptation and performance of literature, the adaptation and performance of oral history interviews, and the construction of theatrical texts based on historical and scholarly documents. Among the highlights of the institute are theatre workshops with Luis Valdez (author of Zoot Suit), Kinan Valdez (Artistic Director of El Teatro Campesino), and Ping Chong (an internationally renowned performance artist known for his work in intercultural and documentary theatre), as well as the institute co-directors. 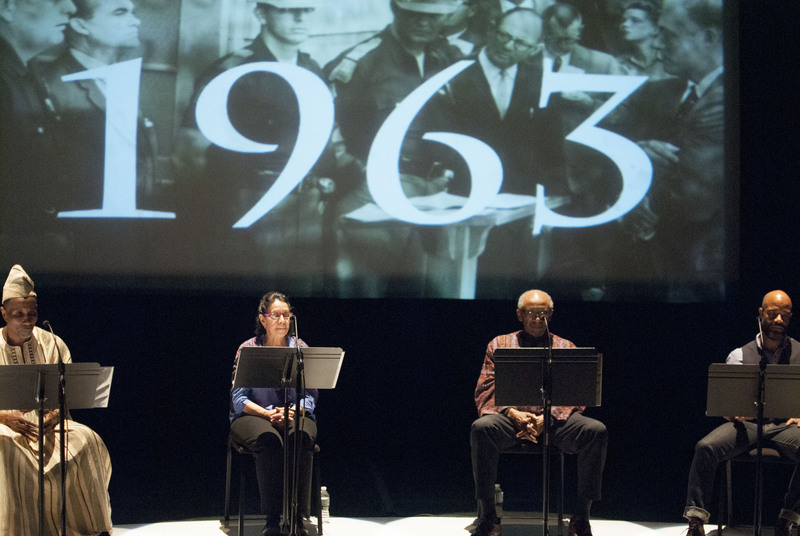 These workshops will guide NEH Summer Scholars through some of the steps involved in creating documentary theatre productions based on the topic of immigration. At the end of the institute, Summer Scholars will share their results in a performance open to the public. Please note: Scholars do not need prior theatre experience to participate in or enjoy the institute. Scholars, however, do need a willingness to engage the materials of the institute through a range of performance-based exercises. This probably is the institute for you if you are willing to explore the topic of immigration and the selected literary and historical texts through participatory, theatrical exercises, some of which you might use in your own teaching down the road. This is probably not the institute for you if the idea of working together to create a theatrical performance sounds like torture. 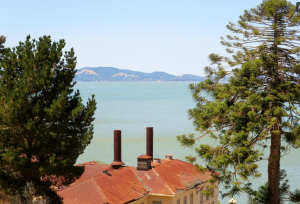 Fieldtrips around the San Francisco Bay Area: Angel Island, San Juan Bautista, and walking tour of downtown San Francisco. institute faculty and will share them with each other on the last day of the institute. weeks after the close of the institute. Bill Ong Hing’s “Immigration and Race in the Twenty First Century” in A Companion to California History. Selections from Erika Lee and Judy Yung’s Angel Island: Immigrant Gateway to America (Chapters 1 and 2). Glen Gendzel,“Tortilla Curtain and California’s Nativist Heritage,” Text and Performance Quarterly 2 (2013): 175-183. Matthew Spangler, “Adapting T.C. Boyle’s Novel The Tortilla Curtain,“ Text and Performance Quarterly 2 (2013): 151-167. Kelly Hernandez’s Mexican Immigration to the United States, 1900-1999: A Unit of Study for Grades 7-12 (The National Center for History in the Schools). Kelly Hernandez’s “Mexican Immigration to the United States,” Magazine of History 4 (2009): 25-31. NEH Summer Scholars are also be provided with the titles for supplementary reading, should they wish to pursue certain topics in more detail on their own.